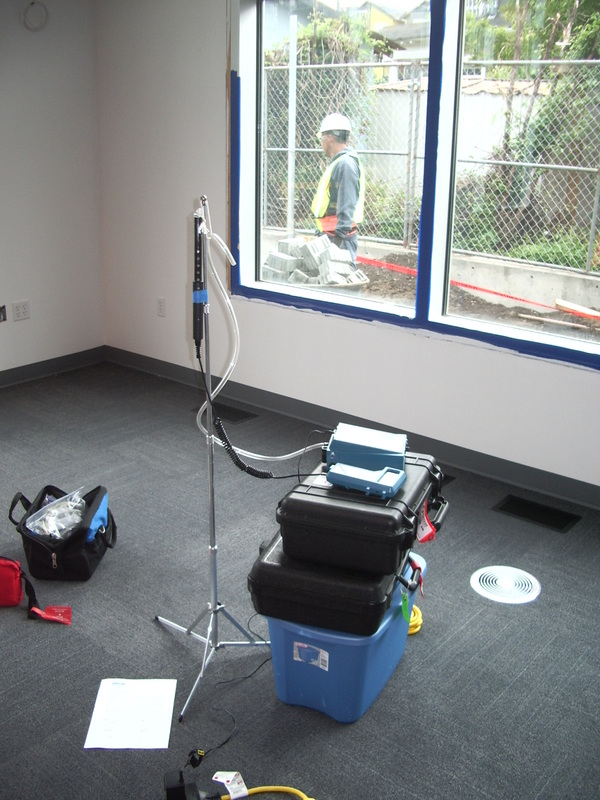 EHSI conducted Indoor Air Quality (IAQ) testing to satisfy LEED requirements for New Construction v2.2. EHSI collected samples from four (4) indoor locations, sampled for formaldehyde using thermal desorption tubes and battery operated low flow sampling pumps. One sample each was collected from the each of sampling zones. EHSI used TSI DustTrak units to datalog test for airborne PM10 particulates over a 4-hour sampling period in each sampling location. EHSI sampled for TVOCs using thermal desorption tubes and battery operated low flow sampling pumps. One sample was collected from each of the sampling locations. An outdoor comparator sample was collected on each day of sampling. EHSI sampled for 4-PCH using thermal desorption tubes and battery operated low flow sampling pumps. One sample was collected from each of the sampling zones. All samples were collected over a 4-hour sampling period. EHSI used TSI Q-Trak meters to datalog test for carbon monoxide (CO) over a 4-hour sampling period in each sampling location. Samples collected for the analysis of formaldehyde, TVOC and 4-PCH (if applicable) were analyzed by Prism Analytical Technologies, Inc. (PATI) Laboratories. EHSI prepared a written report of findings including narrative report describing sampling and analytical methods, laboratory results and a comparison to LEED IAQ requirements. The report also provided a profile of the highest average VOC concentrations to assist in the evaluation of building products and furnishings used in the building. 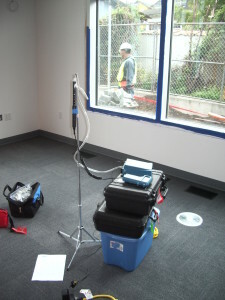 This entry was posted in Indoor Air Quality, Projects and tagged Higher Education, LEED IEQ Testing by Nancy Yee.